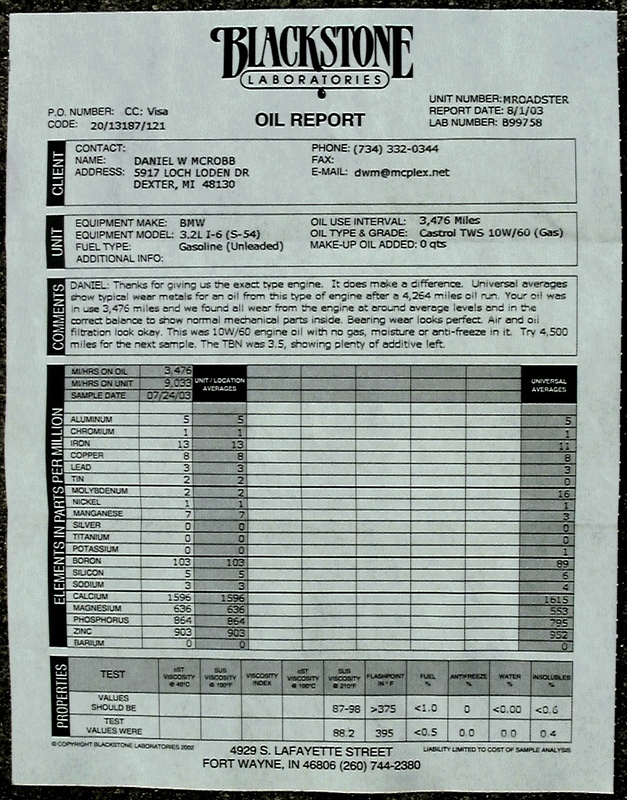 This page simply documents my oil analysis reports from Blackstone Labs. I sent in my first sample at 9,033 miles. I never sent the sample at 13,050 miles. :-( However, the one at 17,362 miles looked good. Note that I sent the 29,447 mile sample to Blackstone a year late. The sample date was 4/22/2007, not 4/22/2008 shown in the report.